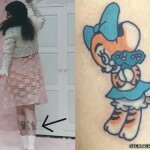 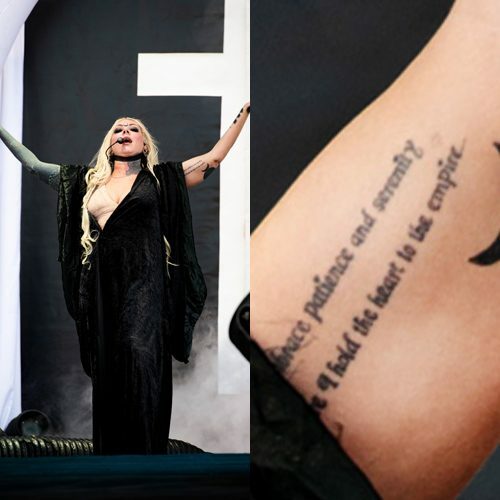 Maria Brink has a tattoo on her left bicep reading “I embrace patience and serenity, therefore I hold the heart to the empire”. 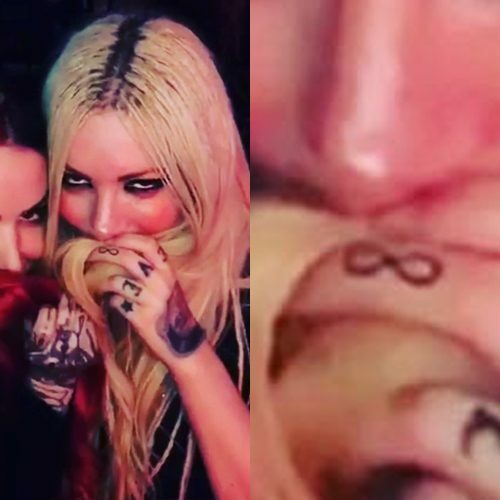 Maria Brink has an infinity tattoo on her left middle knuckle. 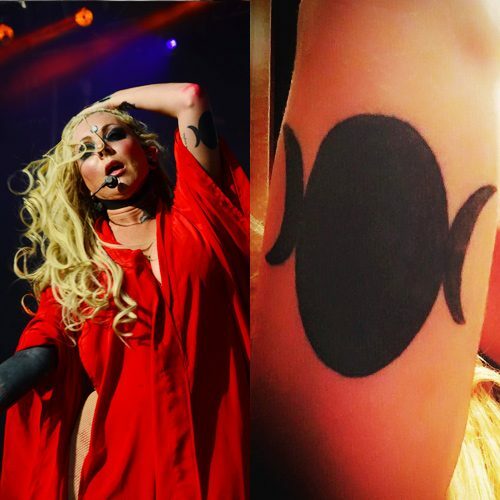 Maria Brink has a beautiful cover-up tattoo with jewels and red diamond on her right forearm. 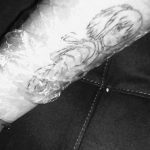 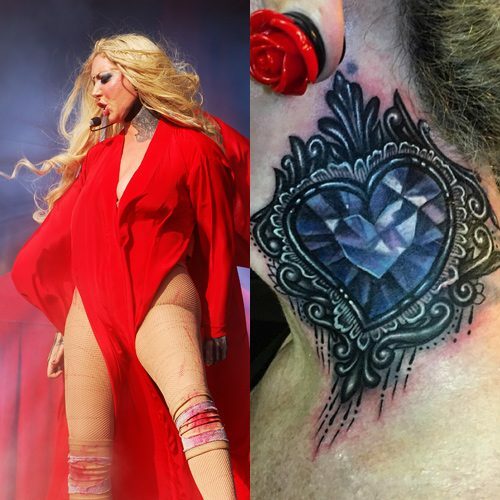 Maria Brink covered up her old blue heart tattoo from her neck and the result is amazing: a beautiful dark blue heart-shaped diamond. 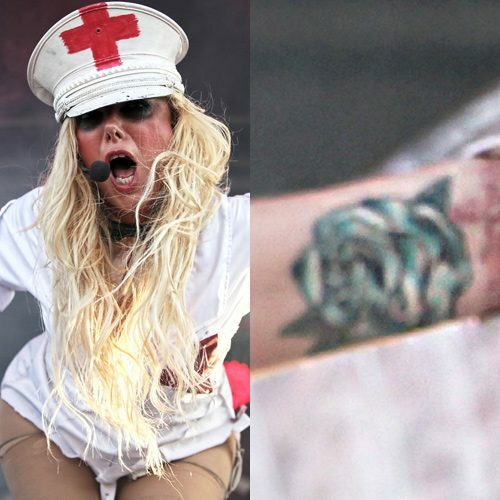 Maria Brink has a beautiful blue rose tattoo on her left wrist. 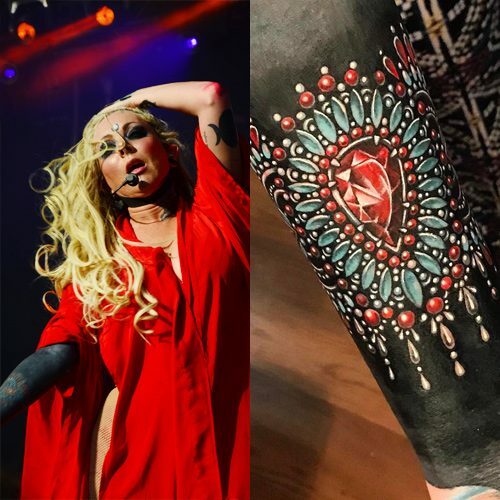 Maria Brink covered up her whole right sleeve with black ink, mandalas and jewels. 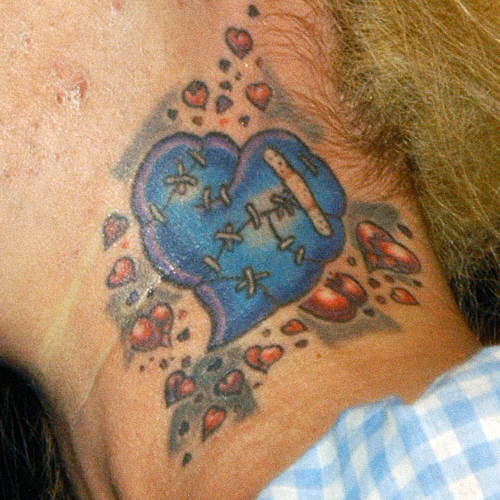 Maria Brink has a blue heart tattoo on the side of her neck. 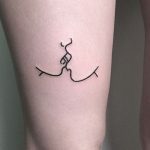 The heart is broken into pieces but it’s sewn back together and mended with a band-aid. 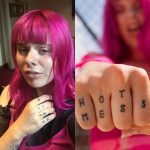 The large blue heart is surrounded by little red broken hearts. 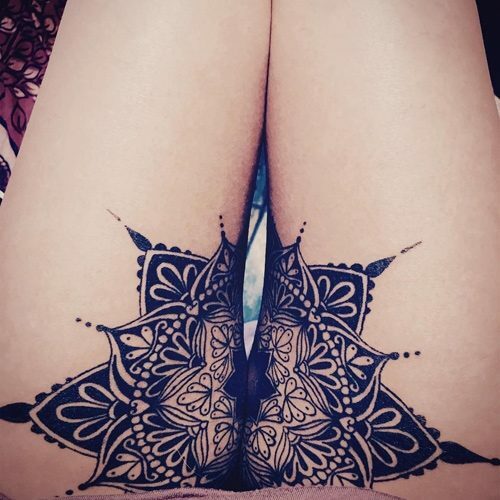 Maria Brink’s knuckle tattoos say “BELIEVE” in black and blue inks with stars filling the empty space on her pinky finger.